After a huge field of 326 players registered for Day 1a of the Partouche Poker Tour Main Event Day 1b saw a very underwhelming turnout as just 236 entrants registered, far fewer than Day 1a despite the tournament using a reentry format. The final tally for the event was 562 players, down from 579 players last year and well below the 760 players who entered in 2010 –a number I thought was reachable after the 326 players that registered on Day 1a. Despite the slight attendance drop from last year, the first-place prize at the Partouche Poker Tour Main Event will once again be €1,000,000.The official payouts and attendance numbers are still unknown as late registration is still available as we head into Day 2 of the tournament. There are currently 278 or so players remaining in the field, as exact numbers are not yet in. There were plenty of big names that survived their Day 1 flights in Cannes, including Vanessa Selbst, Pius Heinz, Jonathan Duhamel, Leo Margets, Justin Bonomo, Dominick Nitsche, Jens Kyllonen, Patrik Antonius, David Williams, and defending champ Sam Trickett who along with Patrik Antonius took advantage of the reentry format after busting out on Day 1a. 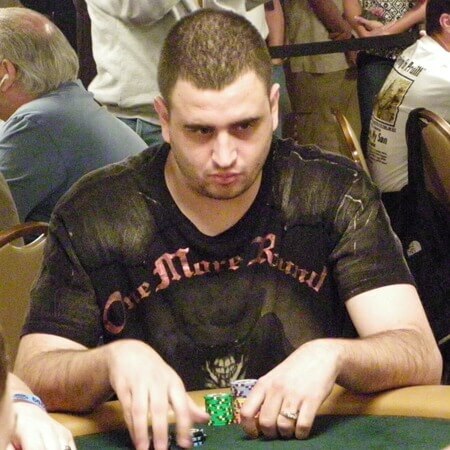 There are also two Mizrachi’s in the Top 10 chip counts as both Robert and Mike Mizrachi bagged-up over 140,000 chips. Trickett was cruising through Day 1b when he ran Pocket Kings into Pocket Aces, but the defending champ and one of the winningest poker players over the past two years still has around 55,000 chips according to his Twitter account, putting him right around average. Trickett could conceivably pick-up his sixth seven-figure payday in the past two years, an unbelievable number, especially considering Trickett pocketed over $10 million from his runner-up finish in the Big One for One Drop tournament. Some other big names were not as fortunate as Phil Ivey, Tom Dwan, Liz Lieu, and Liv Boeree. When the players return to the poker tables at the Palm Beach Casino in Cannes, France the remaining players will be in Level 8 with blinds at 400/800 with a 100 chip ante. The average chip-stack heading into Day 2 is around 60,000.